Tesco Extra in Baldock seek more time from North Herts District Council to contruct the approved plans to extend the store which were granted by the local authority in 2009. Tesco stated that their development programme has been very busy over the past few years and not every store can be built out at the same time. Tesco are keen to provide the extensions to the busy and popular Baldock store, but other developments have had to take priority. Expanding the store will allow Tesco to provide a wider range of products, more jobs and a better shopping experience for customers. The conditions of the approval of 2009 state that the extensions to the store must be commenced within 3 years and as the construction work has not yet started further time is required. 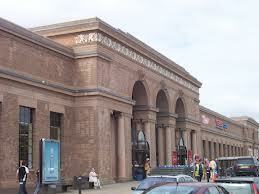 Tesco also state that since the time of the planning approval revisions to the proposals have been made. The proposals include a pedestrian ramp on to the High Street and redesign of the memorial gardens and a reduction in the car parking from 900 spaces down to 676. 11 objections have been received from local residents relating to additional pollution, increase in bulk for the storage areas, encroaching closer to residential properties and the additional HGV lorries. Issues highlighted in the planning report state that the Tesco noise assessment is insufficient, the reduction in car parking could lead to further congestion on the High Street and that deliveries and late night driving take place late in the evening, and these could be exaccerbated with a larger store. 58 HIGH STREET, BALDOCK, HERTFORDSHIRE, SG7 6BN. The decision as to whether the council will renew the approval giving Tesco more time to construct the proposals will take place on 13th September.